FC Bayern München coach Carlo Ancelotti hopes Thiago Alcantara will have recovered from injury in time for the club's UEFA Champions League encounter with Arsenal FC in mid-February. Want to tweak your Official Fantasy Bundesliga line-up? Now's your chance with unlimited transfers. The Spain international suffered the problem 30 minutes into his club's early training session in Qatar on Saturday. Medical examination confirmed a muscle injury that means the 25-year-old can play no further part in the camp. He will also be absent when the restart their Bundesliga campaign away to SC Freiburg on 20 January. Ancelotti, however, is optimistic the problem will have been resolved come Arsenal's visit to Germany on 14 February for the first leg of the pair's Last 16 tie. "That can happen. We hope it won't be too long," the former Juventus, AC Milan, Chelsea FC and Real Madrid CF boss told media in Doha, where FCB are due to remain until 11 January. "I hope that he'll be ready for the first leg against Arsenal." 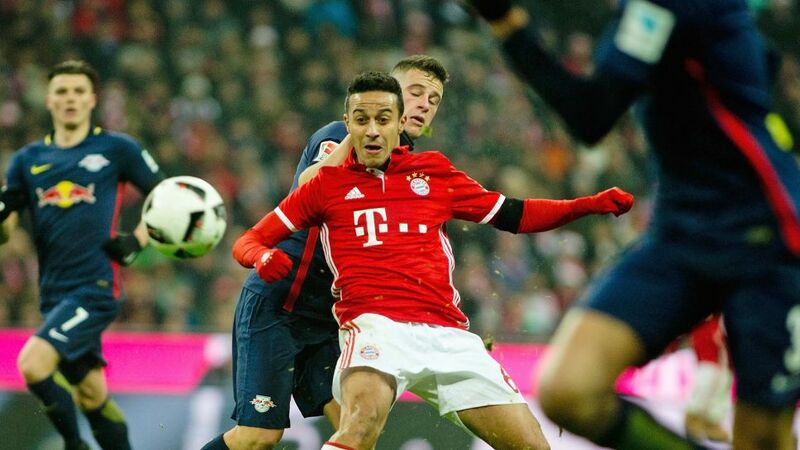 Thiago has made 15 Bundesliga appearances this season, all but one of which were starts, scoring three goals and providing as many assists. Watch: Thiago inspires Bayern to victory over RB Leipzig. The former FC Barcelona midfielder's performances improved as the Hinrunde wore on, and captain Philipp Lahm acknowledged the injury was a cloud hanging above an otherwise sun-drenched winter camp. However, with Renato Sanches, Joshua Kimmich, Arturo Vidal, and Xabi Alonso all providing options for Ancelotti in midfield, Germany's 2014 FIFA World Cup-winning captain insisted it was a blow that would rock but not floor the record German champions. "It's a real shame. Thiago was in very very good form in the last few games before the winter break," Lahm said. "But we have a strong squad, and we don't need to worry." True or False? Take part in the Bundesliga Fan Challenge 2017!